What’s missing on your mobile app? It is Social Media Integration! Well, maybe if you knew that 22% of Americans use social networking sites several times per day you may change your mind about what is important in your mobile app and start Social Media Integration. Contact information and reservation pages are essential for mobile business, but right below that in importance is consistent, relevant content. One of the best ways to update your mobile app with such content is by doing Social Media Integration one of your social media platforms. This way, your customers and visitors have a reason to return to your app, you have justifications for sending out push notifications and you make your app more appealing to the average user. 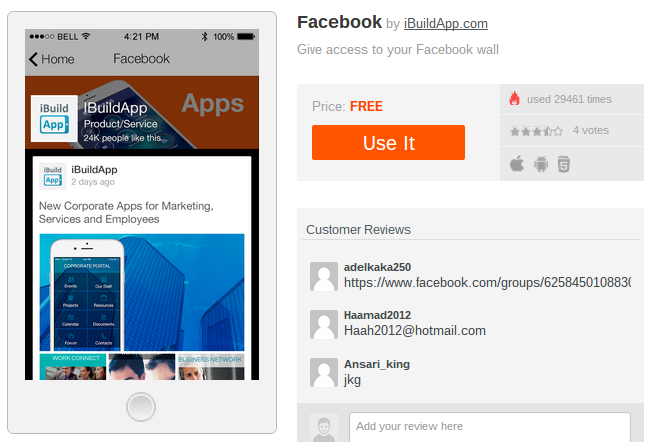 With iBuildApp, you can choose from various social media integration options and drop them in your mobile apps with a simple one-click process. 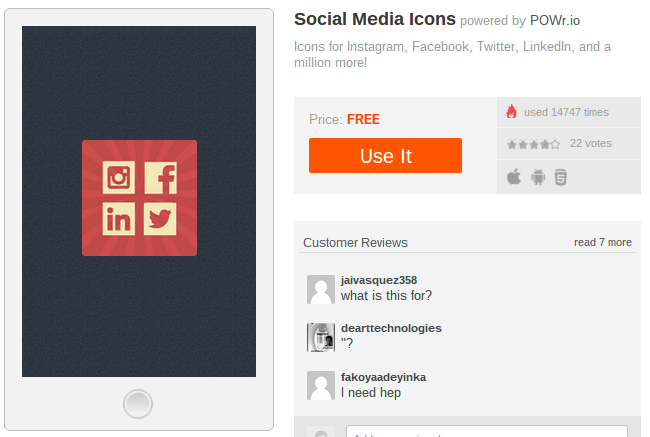 If you’re wondering what types of social media integration options are available, this is the article for you. 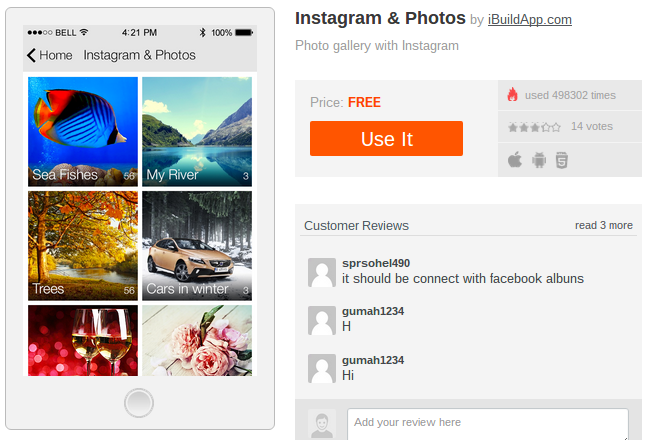 If you haven’t heard, we at iBuildApp have added Instagram support through the Photo Gallery app. Hence, it’s now called the Instagram and Photos feature, since you can quickly link up your Instagram account to show off your most recent posts. The coolest part is that any subsequent posts through your account are automatically shown on your mobile app. Although live chat isn’t technically a social network, it certainly serves businesses well when they want to connect with customers on a social level. 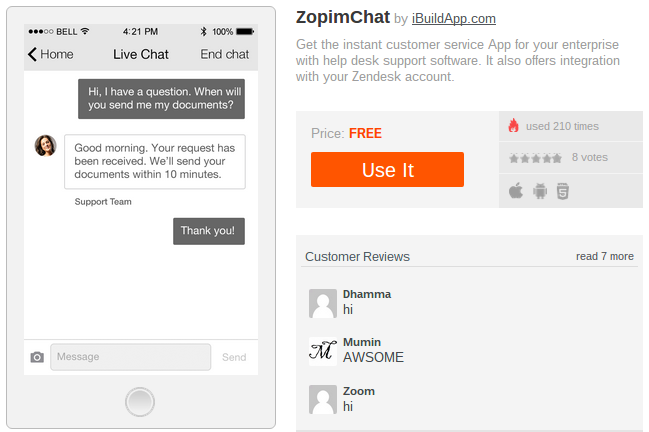 Zopim Live Chat is the ultimate solution for instant customer support, and it even integrates with your Zendesk account if needed. Click here to add this social feature. The Facebook feature is a must-have for all mobile apps, since it automatically pulls all of your most essential information from your Business Facebook page. Tell customers to follow your Facebook account and contribute to win prizes or coupons. The more people chat on Facebook the better off you are. The Twitter feed feature is fairly self-explanatory, since you type in your username and it begins pulling your entire Twitter feed. 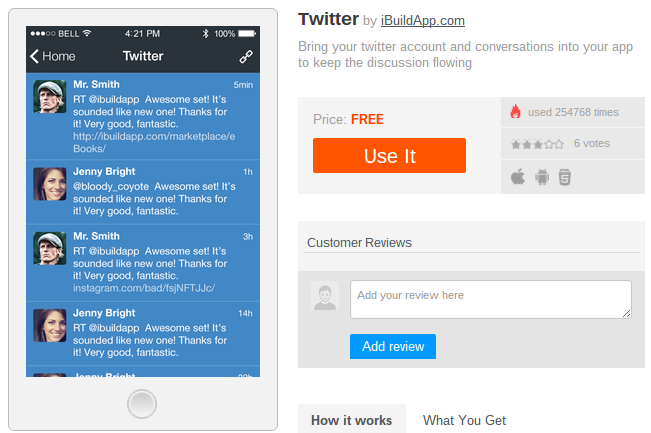 The best part is that you can interact with others through your own app, and encourage your customers to stop by your Twitter feed in a mobile app to see your most recent events, promotions and more. 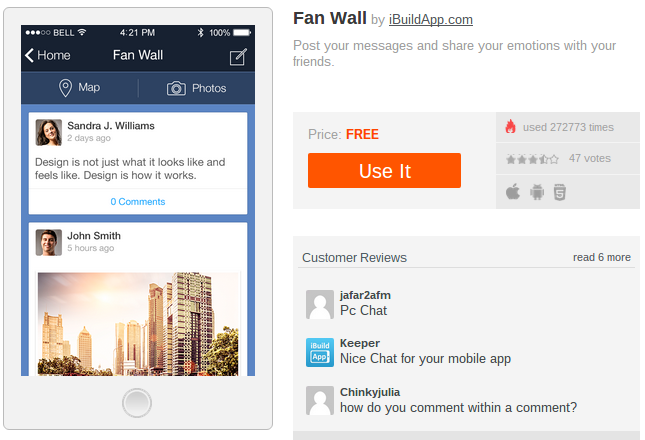 The Fan Wall is the ideal place to build a community on your mobile app. It’s similar to a forum or chat room on a website, where people can post photos, maps, links and thoughts about your company. It’s not always the easiest task to get people started posting in the Fan Wall, but once you do, it’s like bringing in customers for life. This feature is offered through POWr, and it provides a beautiful method for placing social media buttons in your mobile app. For example, you may have an About Us page in your app. Why not include a few links to your social buttons at the bottom? This tool lets you do that. 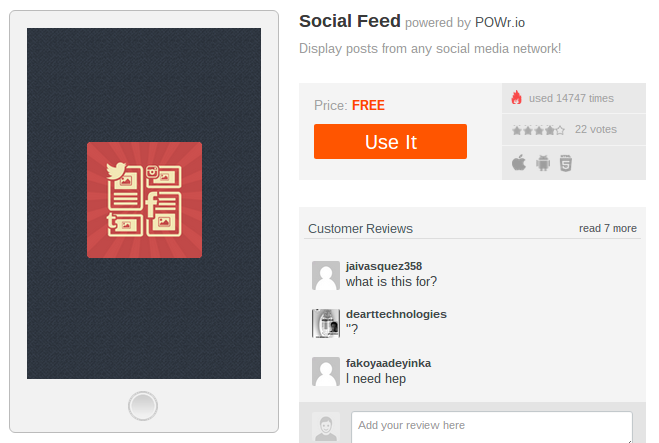 Also from POWr, the Social Feed feature is similar to the Facebook and Twitter features, but it has support for a wide variety of other social networks. Therefore, if you’d like an Instagram feed or Pinterest feed, it’s a possibility with the Social Feed feature. This tool is also quite helpful since it offers several customization tools for your own branding purposes. Now that we’ve explained the best options for social media integration through iBuildApp, go to your account and add one of these features to see how it works. Play around with it a bit and come back to let us know how you have utilized it for your own business. To do so, use the comments section below.